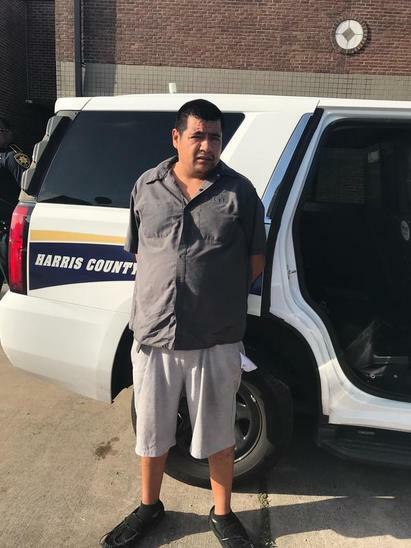 A serial burglary suspect is off Houston streets after he was arrested by Harris County Sheriff’s deputies. Alan Alavardo, 34, was identified as the suspect in a burglary that happened on June 28, 2018 in the 200 block of Malone in the Heights. A news release from the Harris County Constable Alan Rosen’s office says approximately $108, 782 worth of jewelry and guns were taken from the home. The suspect got in through a dog door. Home surveillance video helped the deputy identify the suspect. “Alvarado is believed to be responsible for multiple burglaries and thefts in the Heights area over the last few months,” the news release stated. Precinct 1 Constable Alan Rosen has free gun locks for gun owners and residents after recent shootings by children, including the Santa Fe High School mass shooting. The children got hold of a gun or their parents’ guns that was not under lock and key. The Texas Safe Storage Law applies to children under 17 years old where parents are liable for injuries or death by unsecured firearms, according to the Texas Tribune. The Texas Safe Storage law is considered weak in preventing gun violence. The public can pick up a free gun lock at 1302 Preston Street or ask a Precinct One patrolling deputy about the free gun locks. This entry was posted in Asian Community, Crime News, Harris County News, Houston News. Bookmark the permalink.